The specific ore, utile ore, used to create titanium is found in few parts of the world. It’s a sandy soil that’s difficult to locate. One of the largest supplies is in Russia. The U.S. purchased much of the ore used to produce the SR-71 airframe from Russia through foreign countries and third party companies. The U.S. needed large quantities because not only did they build over 30 SR-71s, but the alloy is very brittle and breaks easily. This led to frustration on the assembly line when many pieces broke before they could be assembled. The nose cone detached and three different cones were used for three different purposes of the SR-71. One cone was meant for training and didn’t have any expensive material inside of the nose – just weights to simulate a real mission. One cone housed the radar unit and the other cone housed the Optical Bar Camera, which surveyed the Earth in massive proportions. 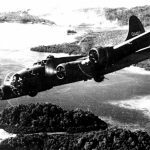 This interchangeability gave the U.S. flexibility on the ground, depending on which mission was needed. The large Optical Bar Camera held inside the nose cone used during photo recon missions was referred to as “The Country’s Camera”. This machine took a photo 72 miles wide, about as wide as the entire state of Vermont. 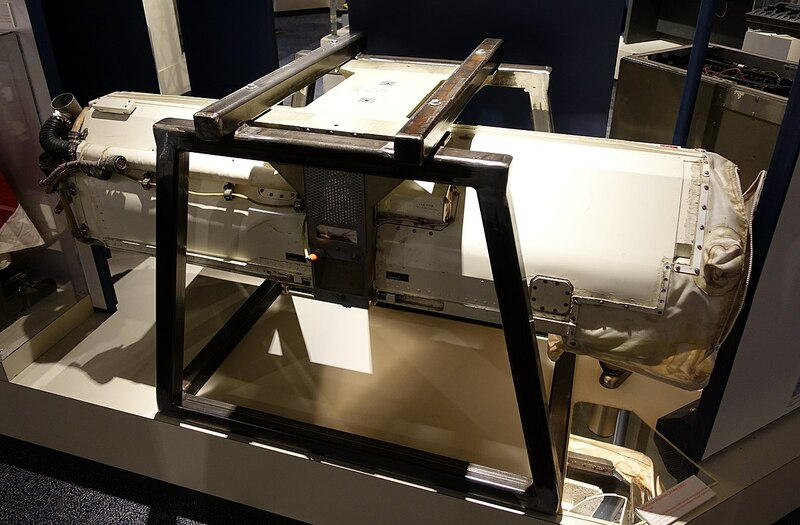 The Optical Bar Camera was produced by Itek, and also used in other aircraft like the U-2 Dragon Lady and the A-12. Part of the nose cone designed for this camera had a glass strip on the underside of the nose cone that allowed the camera to look below to take images. This image is taken from 65,000 feet above Monterey Harbor. It is a 10x magnification on the original image and has been cropped. The white dots in the water at 18-inch wide bouys. 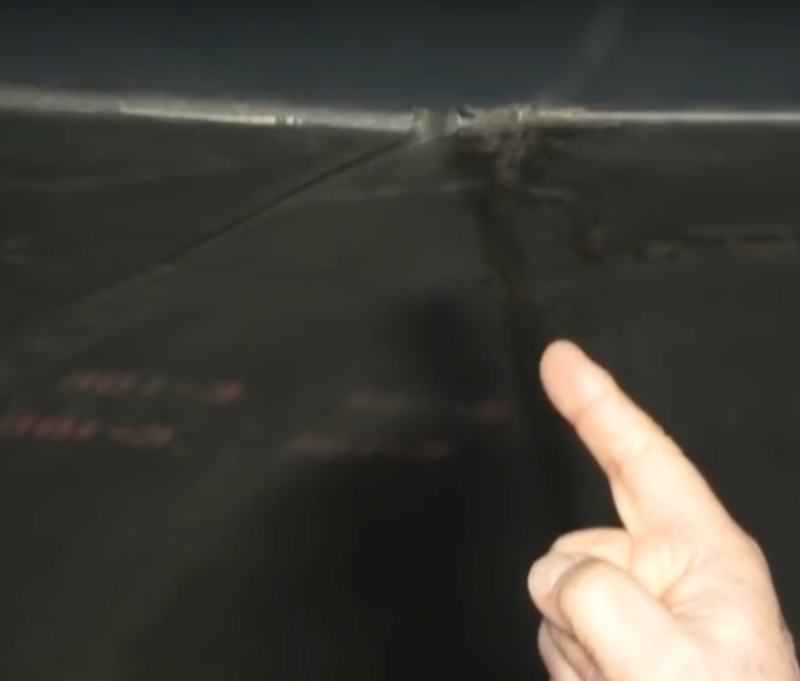 The film inside the SR-71’s camera was five inches wide and two miles long. 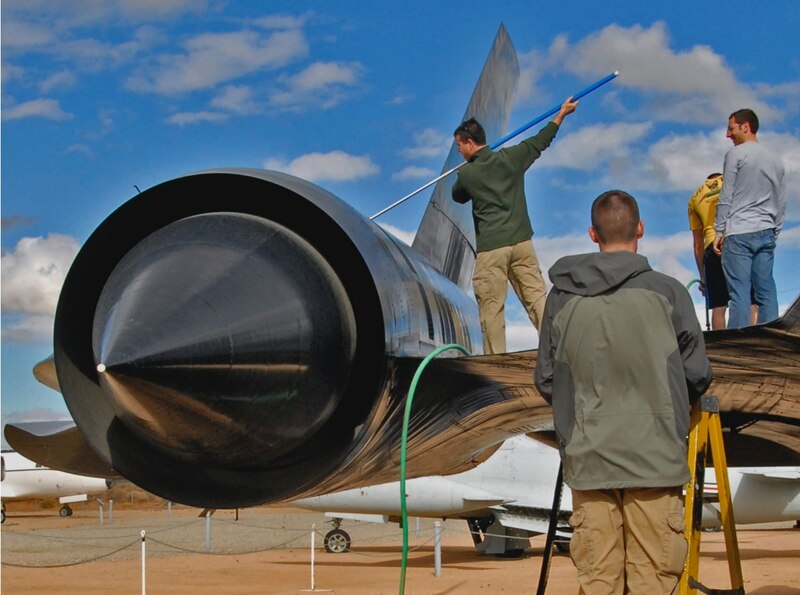 Once a SR-71 returned to base, the photo-maintenance division removed the film and cut it into 500-foot long segments. From there, they would put on surgical gloves and go up and down the lines, inspecting this missive roll of film for cuts, tears or scratches. This was a time consuming process that had to be done correctly or else the entire mission may have been for nothing. Click the icon on the bottom right of the image to learn about that photo. Four bolts seems a little lackadaisical. But, the engineers at Skunk Works knew what they were doing. The air pressure was so great during flight that four clevis bolts were all that was necessary to keep the nose cone in place. While the nose cone did hold firmly in place with only four bolts, the nose configuration caused aerodynamic issues with the SR-71. Because of directional stability issues, two small ventral fins to the engine nacelles were added and a large, hydraulically powered folding ventral fin on the centerline of the aft fuselage was added. Well over a hundred missiles were shot at the SR-71, but the Blackbird was just too fast and its jamming technology was too sophisticated for one to ever catch up. The jamming technology used in the SR-71 essentially denied the missile from receiving any updated information from the Blackbird. Once the missile was jammed, the SR-71 used its breakaway speed to create a gap that couldn’t be closed. The closest a missile ever got was 1.5 miles from an SR-71. 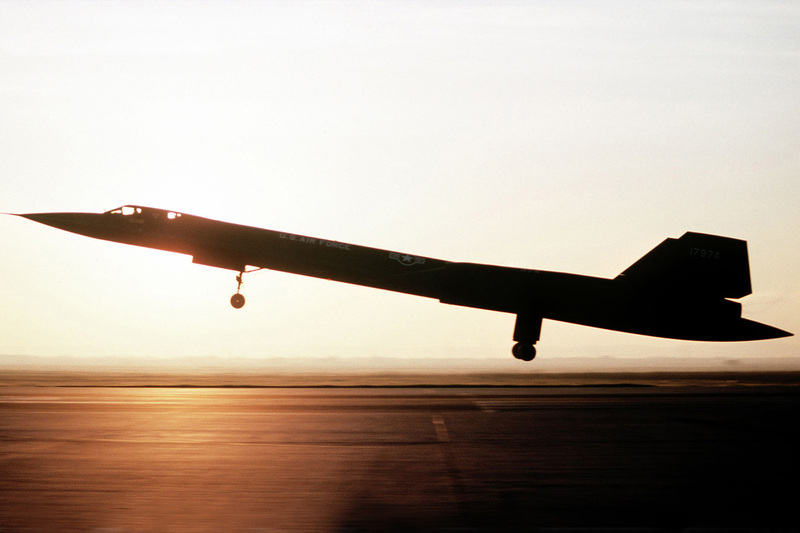 The Cold War really ramped up in the 1960s, and the United States needed a compliment to the U-2. 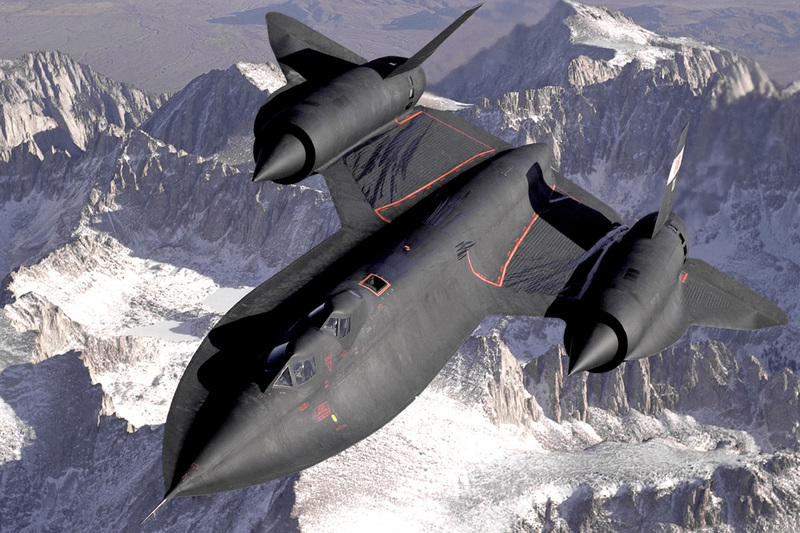 Afraid of the public finding out about the Blackbird and a subsequent leak – the CIA, Lockheed and the U.S. Air Force designed and built the SR-71 in secrecy. Security clearance kept employees, crew, pilots, etc. from ever discussing the project outside of work, even with their wives. Work started in 1958 and speculation started not long after. 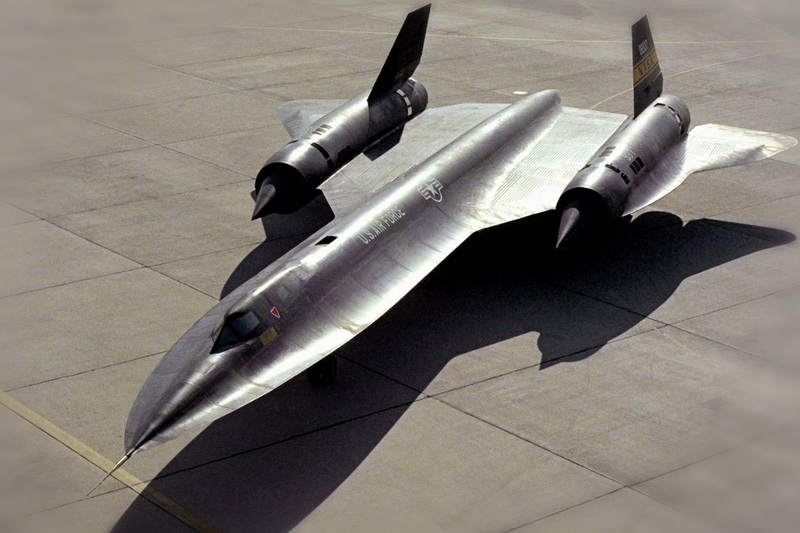 Many inside the aviation industry knew something was up at Lockheed, but no one really knew what was being built until President Johnson announced the SR-71 Blackbird in 1964. 19 Pilots reached the 900 flight hours in an SR-71, but only three pilots made it to 1,000 flight hours. What an accomplishment inside of one of the most legendary planes in history. While the SR-71A received the most flight hours overall, the SR-71B 61-7956 flew the most hours of any individual Blackbird, reaching 3,967.5 hours total. 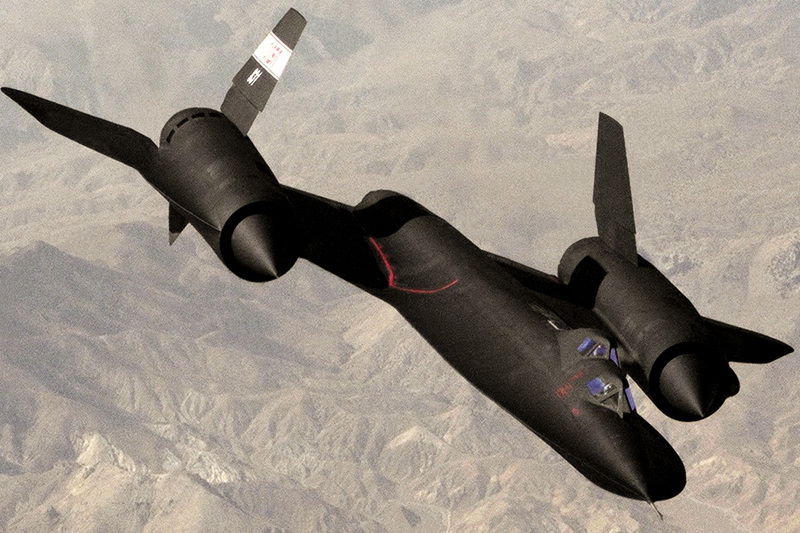 The fewest flight hours recorded came from the SR-71A 61-7966 which only reached 64.4 hours. 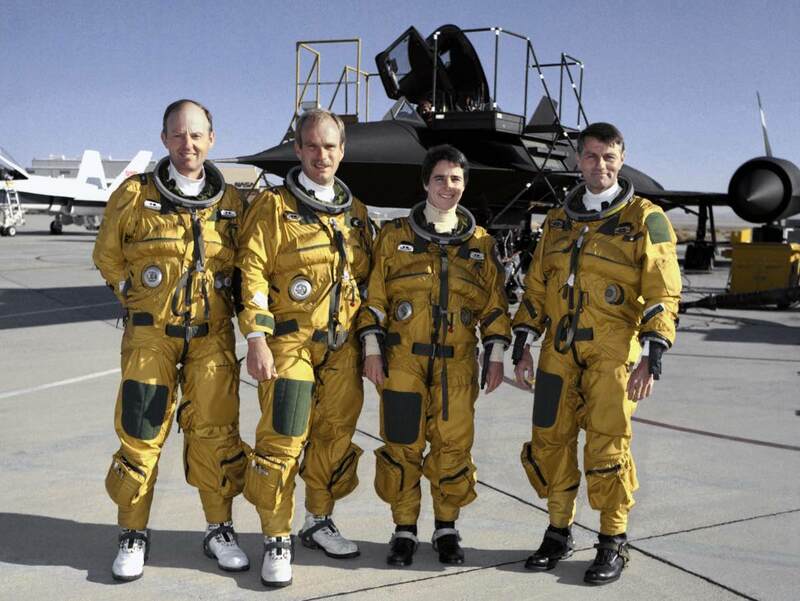 Pilots in the SR-71 wore similar style “space suits” as U-2 pilots because of the immense altitude. Friction at high altitude and high speed heats up the airframe. Many parts of the SR-71 reached from 400-500 degrees Fahrenheit, but the airframe above the engines reached over 1,000 degrees. Overall, the average skin temperature of the SR-71 was over 600 degrees. The quartz glass in the cockpit was 1.25-inches thick, and was hot to the touch from the inside! Pilots, even with gloves on, couldn’t keep their hands by the glass for more than a few seconds without doing damage. Because of such high altitudes, temperatures and speeds, titanium alloy was the only material that suited the plane’s mission. Over 90 percent of the SR-71 was made of titanium alloy. Factor in glass for the cockpit and landing gear material – that means basically the whole aircraft was titanium alloy. Titanium alloy was popular because of its high corrosive resistance, high specific strength and low specific gravity. It was also a bio-compatible material and non-magnetic. 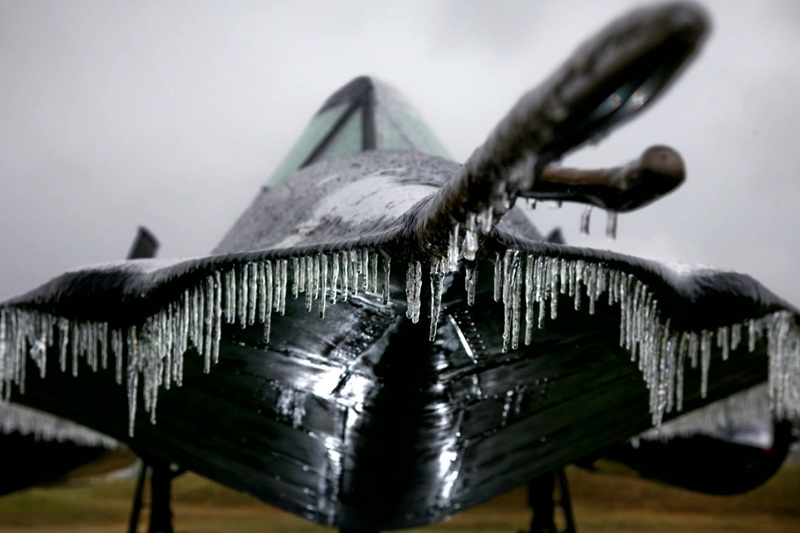 Of the 12 SR-71s that were lost, four were tied to tire failure. The plane originally took off with 80,000 pounds of fuel, which put a disproportionate amount of pressure on the tires. It caused them to fail upon landing. So the takeoff fuel load was reduced to 40,000 pounds and was refueled in air before leaving for its mission. Also, if they lost an engine during or right after takeoff, there wasn’t enough airflow across the plane to keep it stable. It would roll over on itself and crash, so half the fuel was helpful. At the speeds the SR-71 flew, the tires heated up just like the airframe even though they were housed inside of a cell. If normal air was used to inflate the tires, the oxygen would seep out even while the landing gear was retracted. To combat that issue, pure nitrogen became the standard to inflate the 415 lbs./sq. inch tires. Also, these tires were 2-ply. 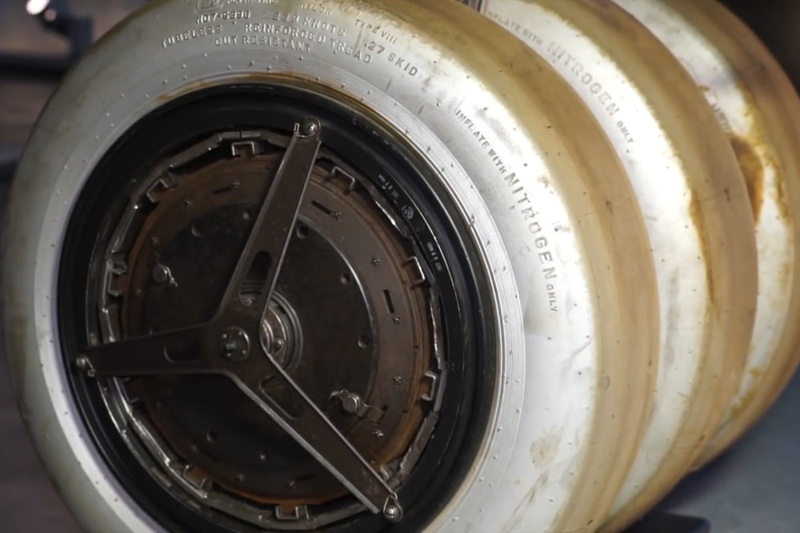 A typical commercial airliner only inflates its tires to about 200 pounds per square inch. Some missions lasted as long as 10 hours or more, which required about 5 aerial refuels. In these missions, pilots were outfitted with special bladders to assist them in urinating if they had to. Also, tubed food was fed through a helmet and water was drunk through a tube as well. This wasn’t the standard, however. Typical missions were closer to 2.5 to 4.5 hours long and only required one or two refuels. 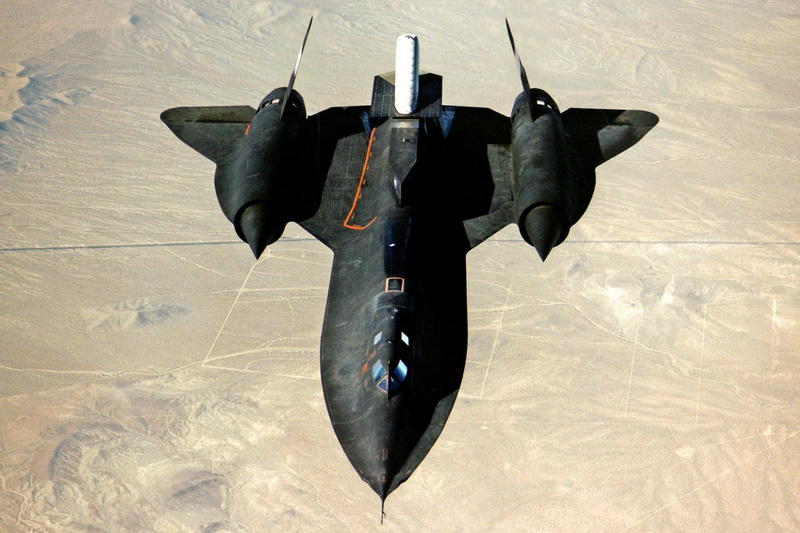 During the Arab-Israeli War, SR-71s flew missions from bases on the East Coast to the Middle East and back. These missions required the pilots to come down to about 25,000 feet of altitude in order to receive refuel every two hours or so. 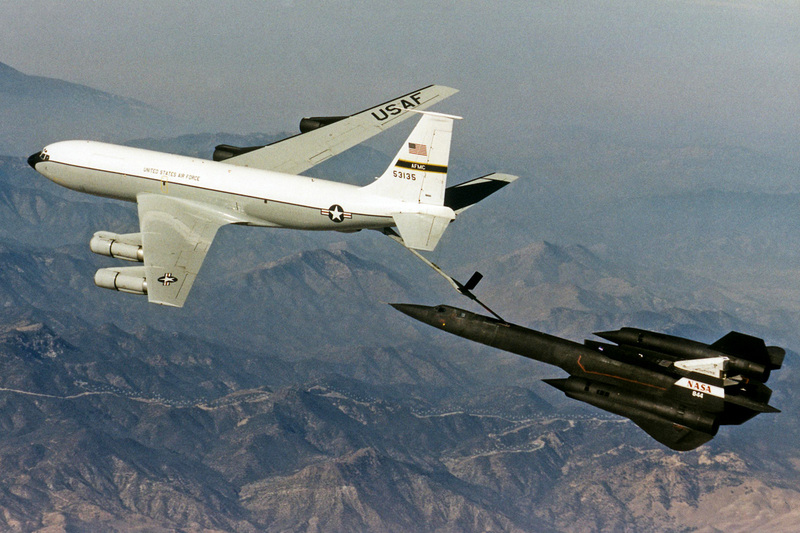 Col. Jim Wilson, a former Blackbird pilot, writes in his self-biography titled “SR-71 Mission to the Middle East” that sixteen Spain-based KC-135 Stratotankers were required to refuel the SR-71 across five refuels. Before GPS and even more advanced technology, star-gazing was a reliable way to determine geographic location. The SR-71 was equipped with a sensor that locked on to stars in space and relayed that information back down to Earth in order to give an updated location. It was so accurate, mind you this is in the 1960s, that it guaranteed a correct positional read within 300 feet while the plane was traveling 2,200 mph. This sensor sits in a similar place as R2D2 sat on Luke Skywalker’s aircraft, thus the connection. Matter expands when hot, this is science. An aircraft is no different. Expansion Joints line the aircraft at strategic locations to allow the airframe to expand without causing damage to the plane. The SR-71 expands three to four inches in length during flight and the expansion gap in the image above can expand one to two inches as well. There are more expansion joints riddle throughout the airframe, but the one above is the most significant. As the SR-71 went into Supercruise, these expansion joints were absolutely necessary. 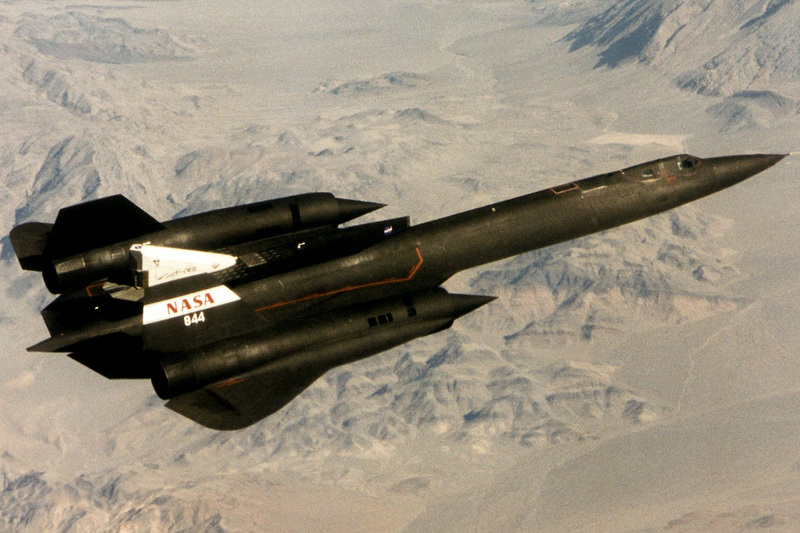 The SR-71 was built using a ‘slide rule’, and was the last major U.S. aircraft to do so. 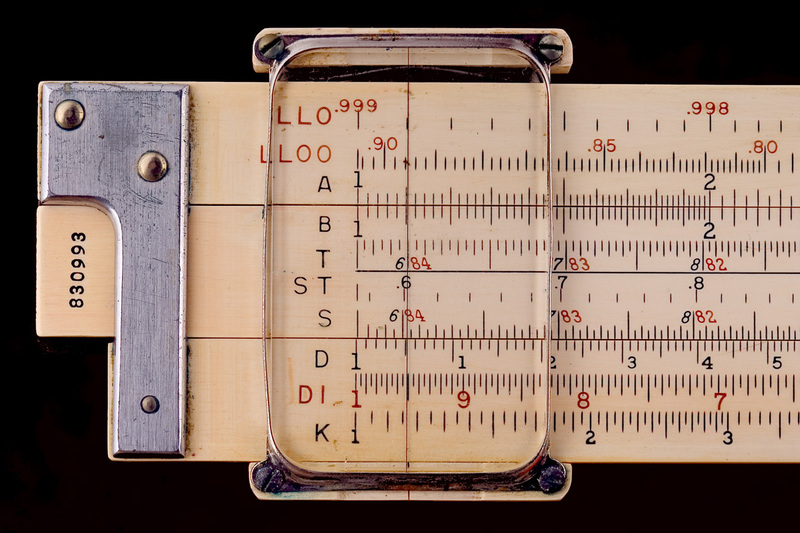 This mechanical numerical device is no larger than a ruler and contains all sorts of numbers that relate to each other based on the position of the middle ‘slide’. This tool has been used for complex multiplication for centuries, and is now replaced by high-tech calculators and computers. Later tests confirmed that the SR-71 would have been built the exact same way had the technology of today been around then. No engine can absorb supersonic air, so the airflow must be adjusted. The ‘spike’ seen above protrudes outward at subsonic speeds like you see in the image above. 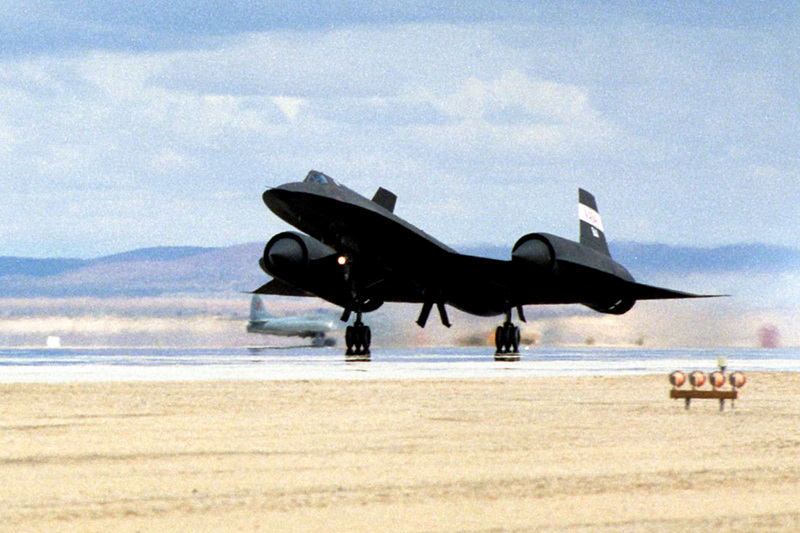 Although it definitely adds to how cool the SR-71 looks on the ground, it has a much more important role in flight. 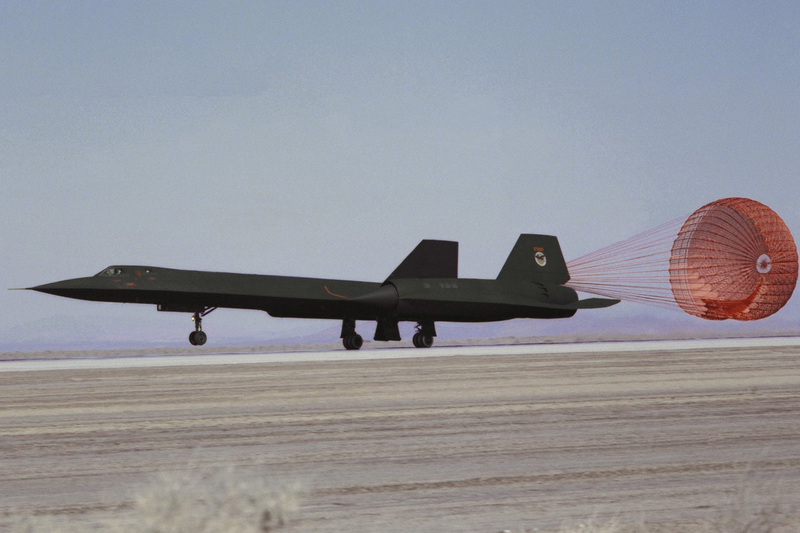 However, it moves aft once the SR-71 reaches about Mach 1.6, doubling airflow and compressing air in the back of the spike, allowing the SR-71 to reach its famously high rate of speed. 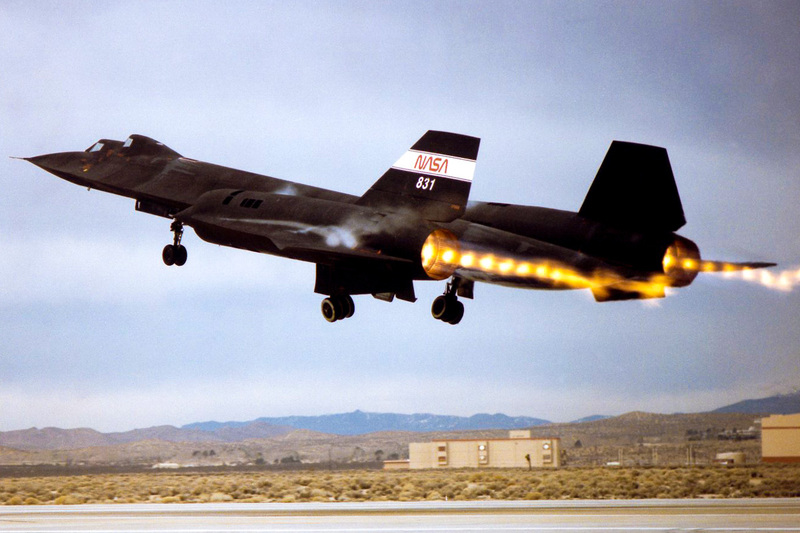 The SR-71’s unique inlet/engine/afterburner design is only inlet/engine/afterburner combination in the world that used less fuel as the aircraft gained speed at supersonic levels. The turbojet engine functioned more like a turbo ram engine over 2,000 mph because it bypassed a lot of the air around the engine back into the afterburner. Which is critical. At 2,100mph roughly 80% of the thrust was from the “Ram Thrust”. 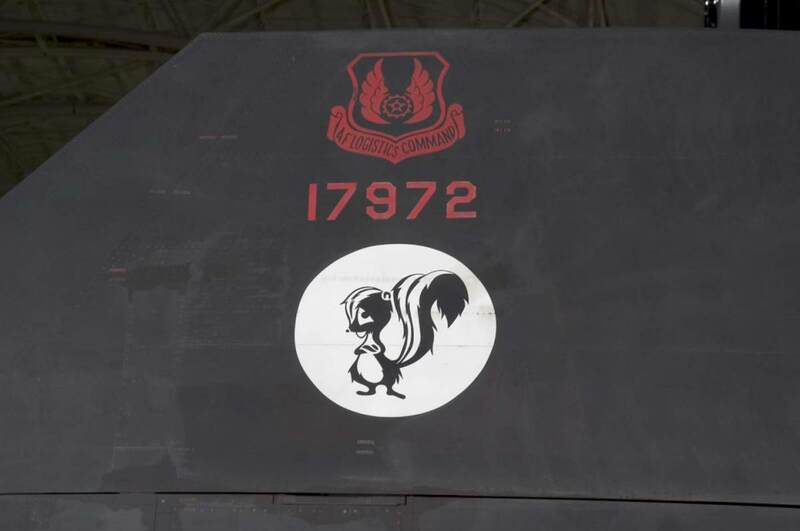 The sonic boom made by the SR-71 was used as a signaling device to POW’s in Hanoi, Vietnam. Secret missions of three SR-71s left Japan and crossed paths simultaneously over Hanoi at times throughout the Vietnam War. 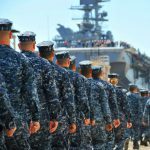 The sonic boom heard below was a signal to those POW’s that if they had an opportunity to escape – do so now because U.S. Navy ‘Frogmen’ are down river waiting for you. This style of signaling occurred to U.S. Heads of States in other countries as well, specifically Panama. It was a signal to get out. It was critical that the shockwaves stay inside the inlet. If a disturbance allowed shockwaves to exit the inlet, it could cause an one engine/inlet to produce 80% thrust while the other only produces 20% thrust. This resulted in an unstart in one of the engines that sent the plane into a violent slice. To combat this, a program was developed that forced the other engine to unstart sympathetically in order to keep thrust symmetrical. Theoretically, this forced both the spikes to return to their subsonic position and level the aircraft. Liftoff speed was roughy 240 mph. Landing speed was roughly 175 mph. Gross takeoff weight is about 140,000 pounds, including a possible fuel weight of 80,280 pounds. 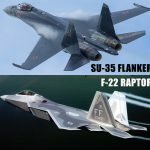 The airframes are built almost entirely of titanium and titanium alloys to withstand heat generated by sustained Mach 3 flight. Aerodynamic control surfaces consist of all-moving vertical tail surfaces, ailerons on the outer wings, and elevators on the trailing edges between the engine exhaust nozzles. The SR-71 reached a maximum speed in excess of Mach 3.3 or above 2,500 mph. 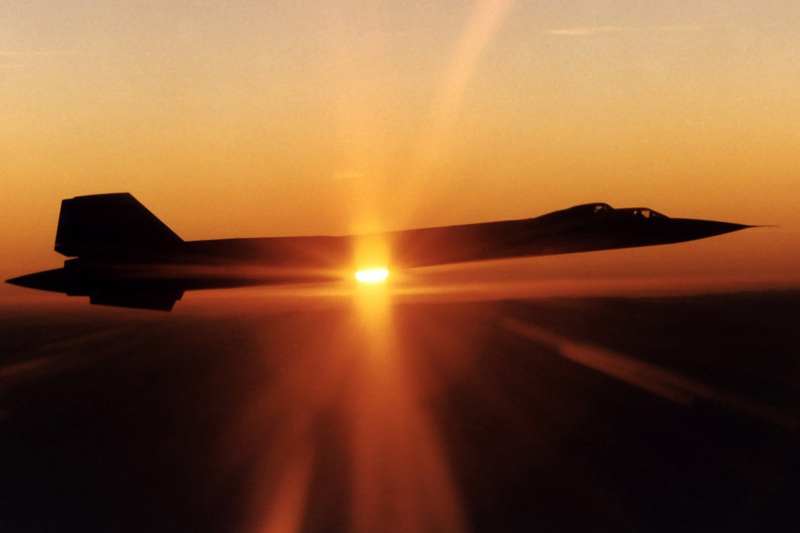 The SR-71 Blackbird cruising speed was Mach 3.2 or roughly 2,450 mph. 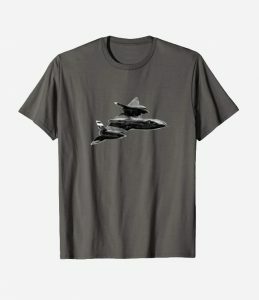 On the 27th and 28th of July, 1976, and SR-71A set speed and altitude records (Altitude in Horizontal Flight: 85,068.997 ft. and Speed Over a Straight Course: 2,193.167 mph). Some estimates claim the SR-71 can fly well over Mach 3.3 and can reach altitudues in excess of 100,000 feet. But these numbers we know for a fact. 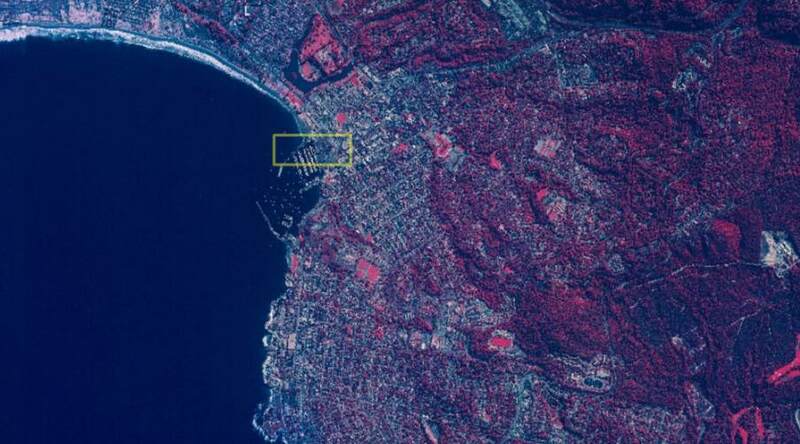 This cropped image of Monterey Peninsula is about one-fourth of the 72-mile wide photo taken by the OBC in the SR-71. 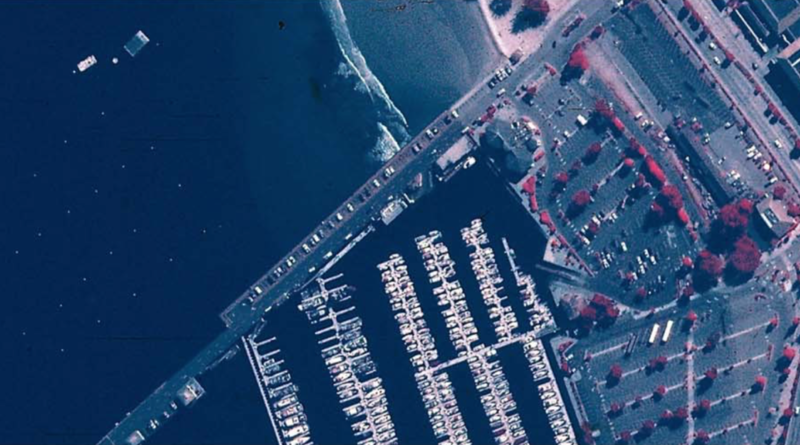 “The Country’s Camera” surveyed 100,000 square miles of the Earth every hour. To put that in perspective, Colorado is about 104,000 square miles. If a four-hour mission was given the purpose of photographing the Southeast of the United States, the Optical Bar Camera would survey Florida, Georgia, Alabama, Louisiana, South Carolina, North Carolina, Tennessee, Maryland, Virginia, West Virginia all in that four hour time frame. The oil formulated to lubricate the Pratt & Whitney J58 engines nearly solidified in temperatures below 86 degrees Fahrenheit. It took roughly an hour to warm it the 10 degrees necessary. This afterburning, single rotor turbojet had a nine- stage 8:1 pressure ratio compressor and a two stage turbine, yielding 32,500 pounds thrust. 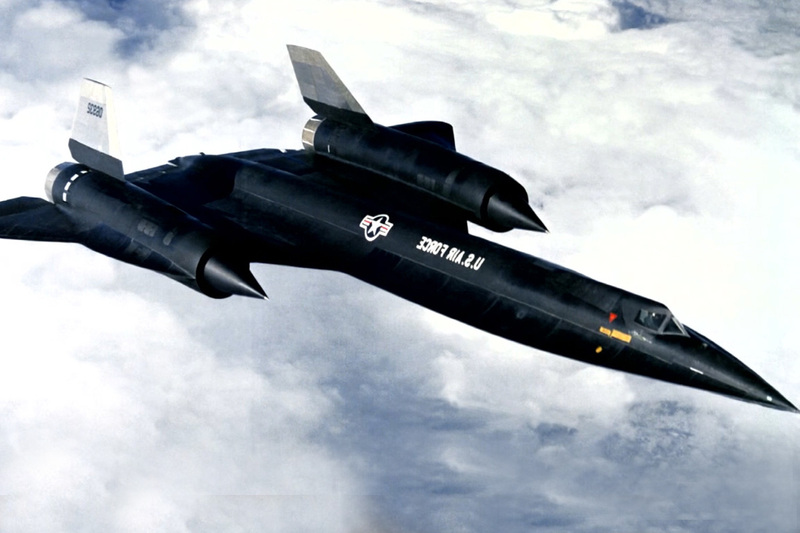 The CIA flew an A-12, the single-seat version of the aircraft, powered by two J58s in early 1963, less than four years after Pratt started work on the project. 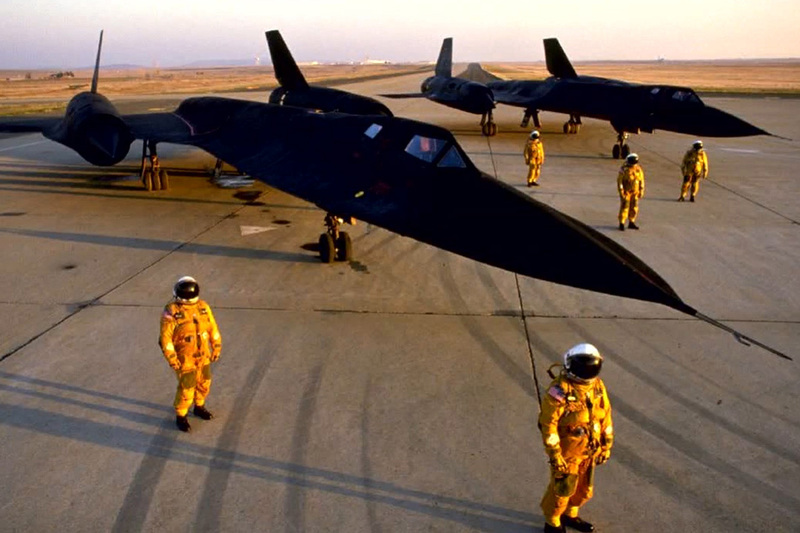 86 pilots flew reconnaissance missions in the SR-71 Blackbird. 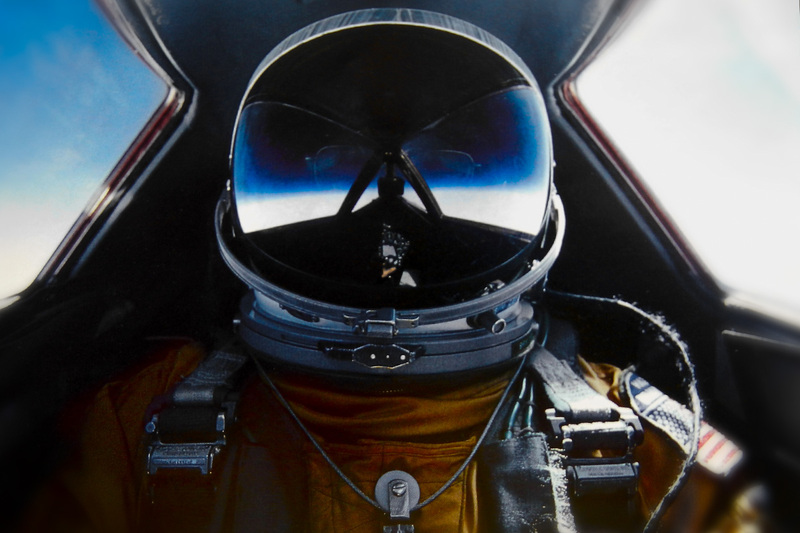 To be selected to fly the SR-71, pilots had to be considered among the Air Force’s best and due to the altitudes they had to undergo the same rigorous physical training and examinations as NASA’s astronaut corps. The pilots also needed special protection to fly the aircraft and were outfitted with pressure suits and helmets that provided pure oxygen. 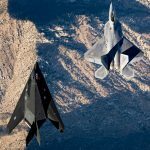 The pilots were provided high-protein, low-residue meals of steak and eggs three hours before each flight to provide energy for the rigors of flying the Blackbird and to reduce the need for a restroom at 80,000 ft.
On it’s last flight ever, the SR-71 Blackbird set a speed record. It flew from Los Angeles to Washington, D.C. in 1 hour, 4 minutes, and 20 seconds. It averaged 2,124 miles per hour on this flight. Once it landed in D.C. it went straight into the Smithsonian. 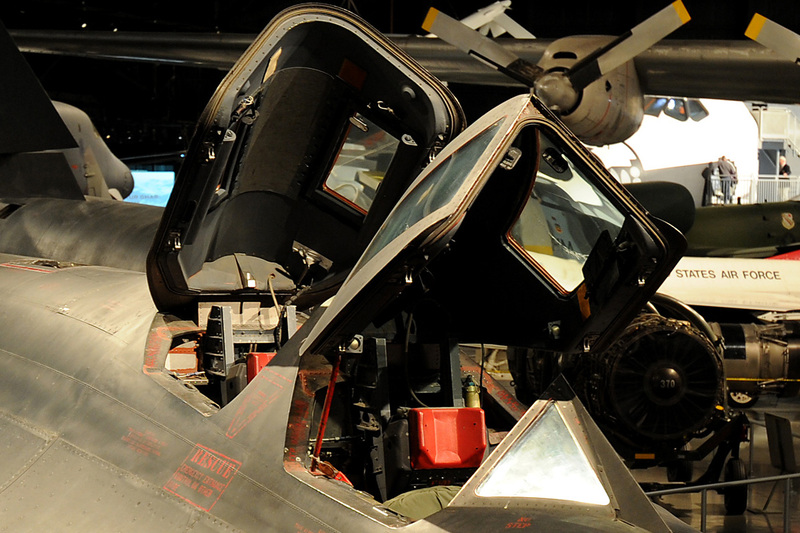 The SR-71 served as an unparalleled force multiplier with its advanced sensors and mission critical reconnaissance. Even with its short operational life span the SR-71 set the stage for the development of supersonic and hypersonic technology. 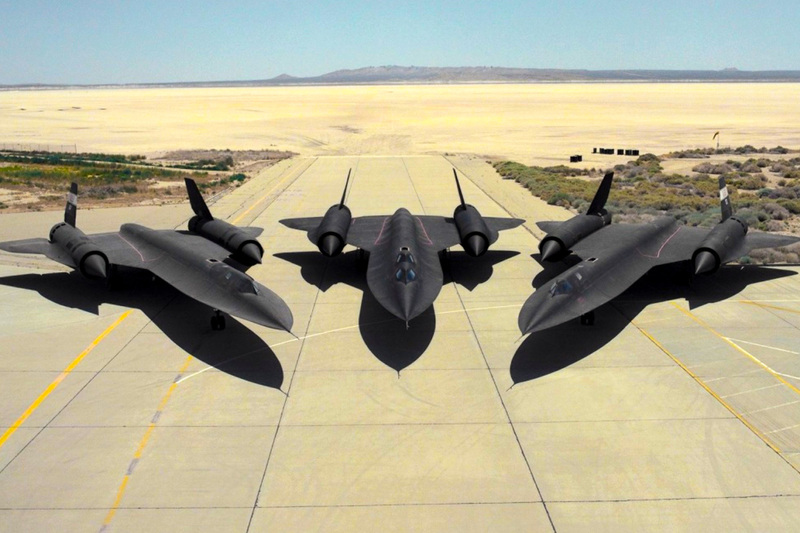 Kelly Johnson, famous aircraft designer for Lockheed’s Skunk Works notably said “Everything had to be invented, everything,” in reference to the SR-71 being a completely new idea. 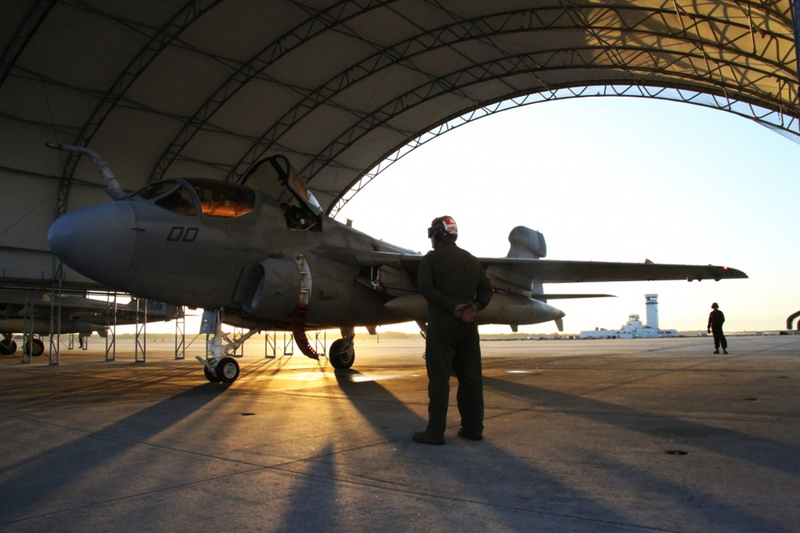 The aircraft went from idea to in service in only 20 months. A feat of epic proportions. 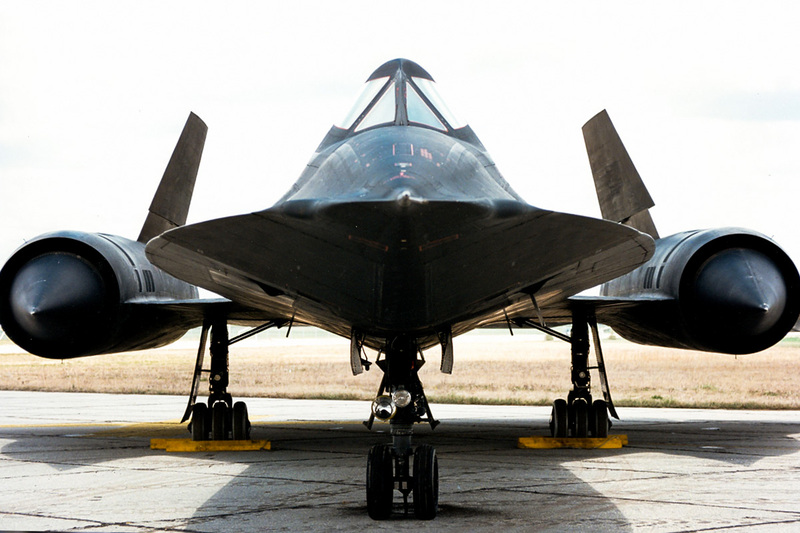 SR-71 missions demanded perfection from the entire team of pilots, maintainers, mission planners and photo processors. There was no room for error due to the sensitivity of the intelligence and technology used in gathering it. 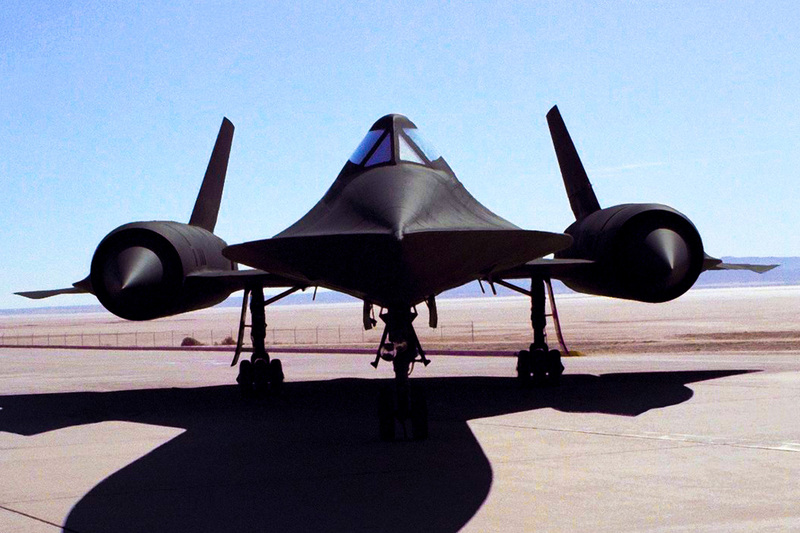 The Blackbird got its name, in part, for its jet black color. Except, it wasn’t actually black. 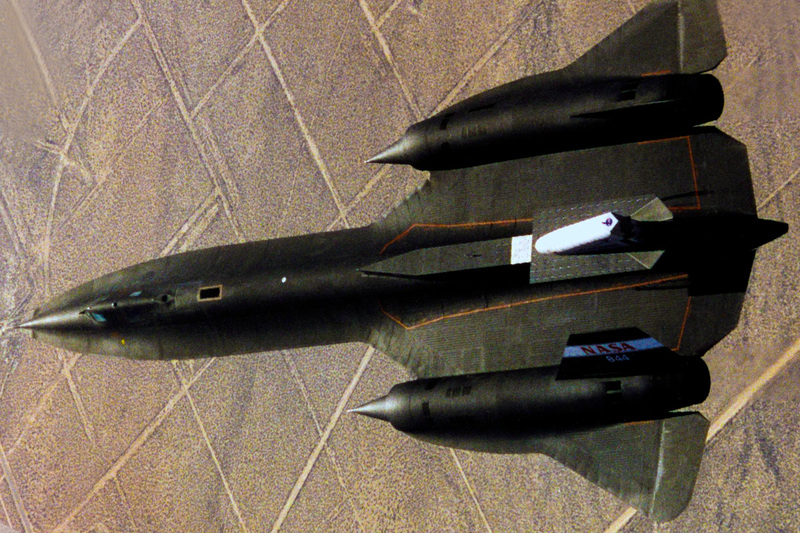 The SR-71 was actually painted Indigo Blue and was mixed with microscopic iron ferrite balls. These microscopic iron ferrite balls dissipated radar signals and heat. 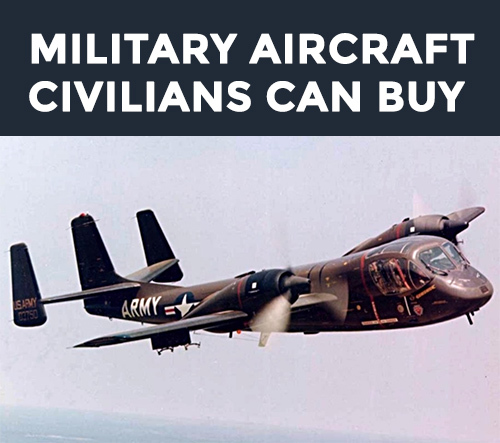 NOW SEE: Awesome Military Aircraft Civilians Can Own!